Summer vacation is finally over. It's fun seeing the Tohru and the Sohma kids back at school. I'm glad to see Hana-chan and Uo-chan back in the story, although I would have liked to see more of them. Each Fruits Basket volume goes into depth on one character's story. This time it's Kagura's turn. We know her as the girl who is obsessed with Kyo. As her character summary says, she is "determined to marry Kyo, even if it kills him." Now we see how their relationship developed. They were great buddies as kids - two misfits happy to be together. But when Kagura saw Kyo's true form one day, she couldn't take it and ran. Kagura's guilt at fleeing her friend somehow turned into a stalkerish kind of love. Kagura realizes this now and is ready to convey her feelins to Kyo and move on. I liked seeing an unsympathetic character be turned into someone with substance. We also learn more about Rin, who will feature prominently in the next few books. I think Rin with her long, straight black hair is the prettiest of all the Sohmas. And like the other Sohmas, she is troubled. She recently broke up with Haru and is devastated. She expresses her grief by lashing out at Haru and Yuki. Even though she seems like a jerk, you can tell she is desperately sad. There is a fun moment at the end of the volume with Shigure and Tohru. Shigure goes to Tohru's parent teacher conference in place of her bedridden grandfather. Unbeknownst to Tohru, her teacher is Hatori's ex-girlfriend. She may also be Shigure's ex-girlfriend too - that was a story line that confused me. There's a lot of flirting and sexual tension between them. A light ending to another heavy volume. 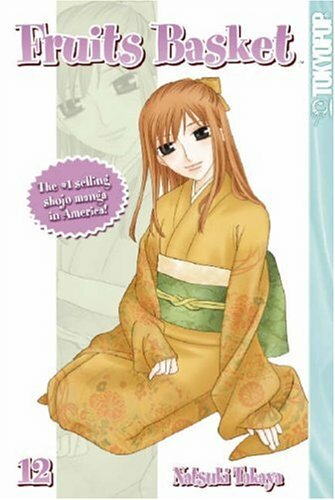 I love this series and I want to clear up your confusion with the storyline with the teacher, shigure and Hatori, the teacher dated Shigure but has had a crush on Hatori for a long time but they haven't dated.